Getting it right on social media is something all brands aspire to. Getting your followers to engage with you and build your brand is what the proverbial social media golden goose is all about. So here is one of our clients who have managed to keep it relevant while keeping you entertained. We have all heard about the post office strike which are causing mayhem with what is supposed to be a blooming season for South African commerce. With a long-term strike and cash flow being the latest of it woes it does not look like we will be seeing anything delivered via the post office in the foreseeable future. 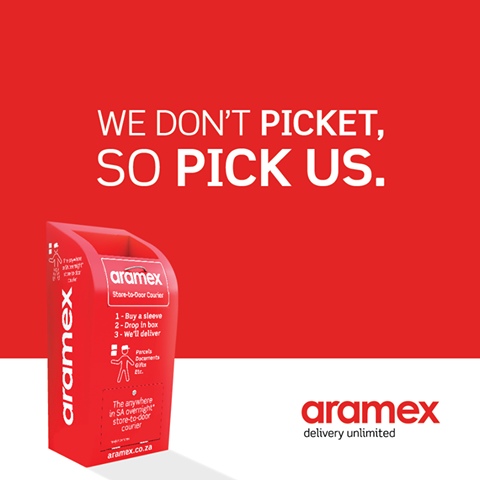 In steps Aramex SA, a local courier company – with their store to door service which allow you to deliver a package overnight is South Africa for R99. Starting off their initial campaign with a hail to the age old snail mail on 7th of November. This post marked the 4 month strike of postal workers as well as the reported resignation of the SA Post Office board. This initial post saw 91 people liking it on Facebook. Aramex SA then stepped up their game on the 19th of November seeing this post. This post garnered more than 890 likes numerous comments and a whopping 370 shares. On the 19th Clyde Mervin President of the Communication Workers Union express his confidence that an agreement would be reached soon. 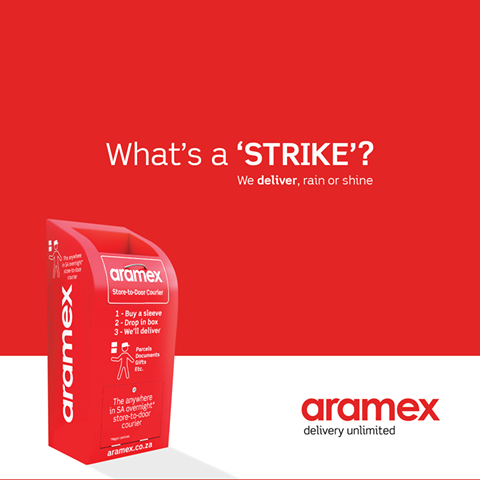 The next post on the 21st highlights Aramex’s ability to deliver regardless of circumstance. Anyone who has been following the media reports regarding the Post Office’s money woes, backlogs as well as forced closures in mayor sentra due to unpaid rent knows that the strike might be over but the postal service is anything but back to normal. The latest article coming from the Sowetan has a positive slant but it remains to be seen if the Post Office can actually live up to the promises it has made. 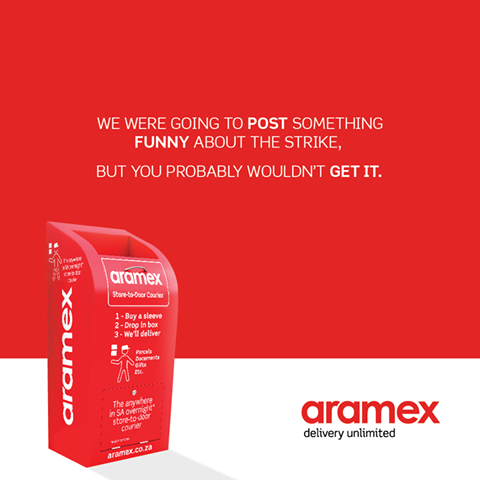 We might still not be receiving our mail but at least we could feast on some great social media responses to the strike and look forward to seeing how Aramex SA will continue to keep their social media relevant and real. 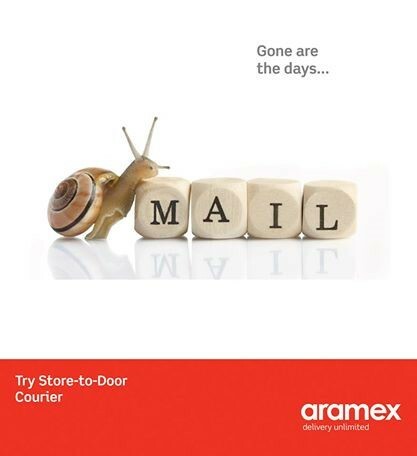 To find our more about Aramex SA go visit their website http://www.aramex.co.za/ proudly developed by KRAZYBOYZ.